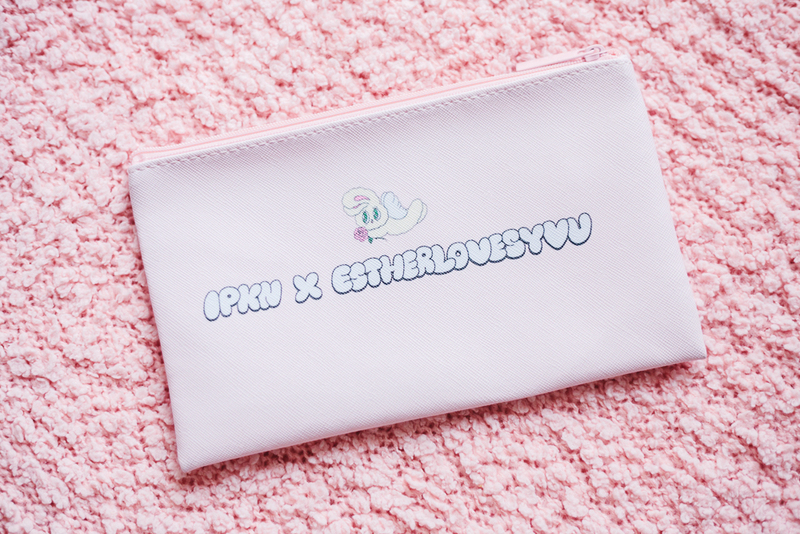 But before we move on to the actual review, can we please take a few minutes to appreciate this adorable pouch?? 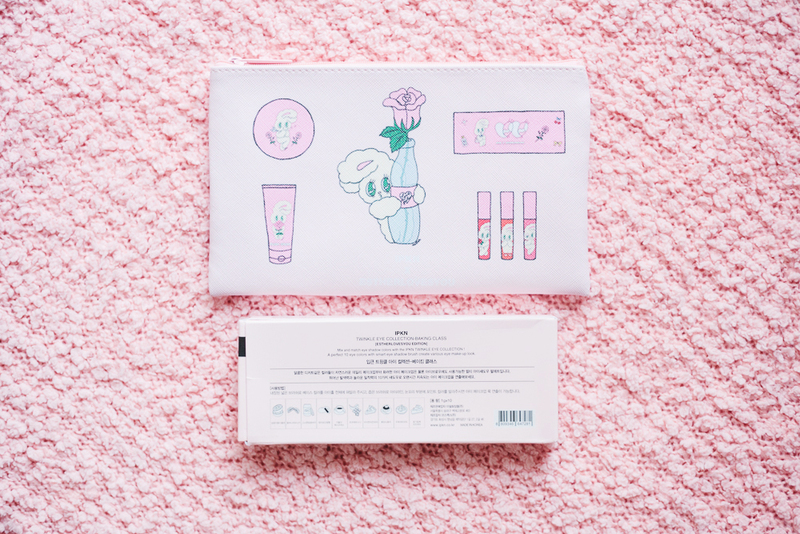 For a limited time right after its release, every item purchased from the IPKN x estherlovesyou Collection came with a free pouch, with the famous Esther bunny on it. Those who bought x number of items got x pouches for free. If you ask me, this collection is worth buying for the pouch alone, haha! 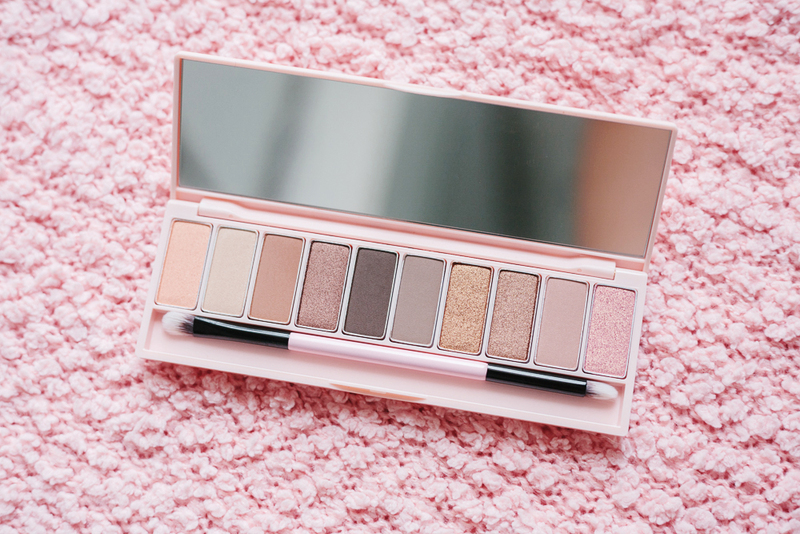 IPKN describes it as: A multi eyeshadow palette with 10 colors like sweet dessert that gives natural eye makeup, brilliant eye makeup and even eyebrow makeup. It's part of a collection produced in collaboration with artist Esther Kim / estherlovesyou. Esther Kim is a Korean-American artist, whose work has been featured in a number of Japanese fashion magazines. You've probably seen her drawings as stickers on LINE Camera at least once. 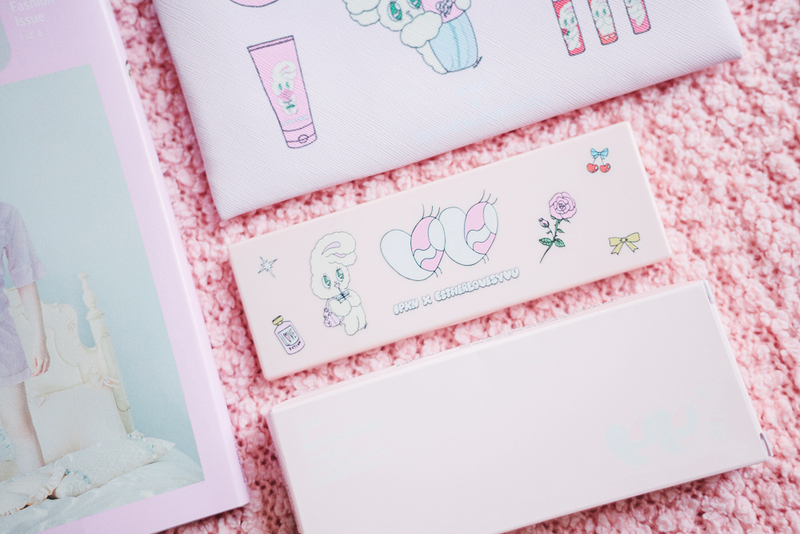 Her cutesy and romantic pink-fueled aesthetic just screams kawaii, and it's reflected well even in this collaboration. 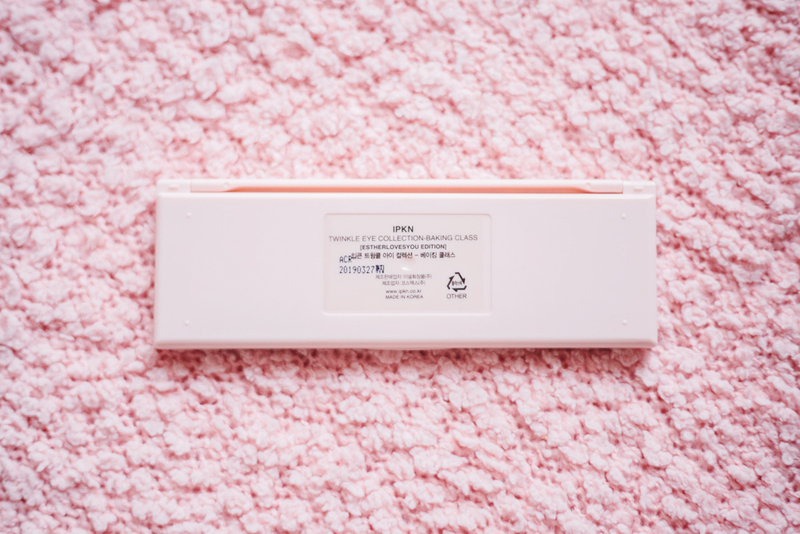 It comes in a lightweight plastic baby pink case. 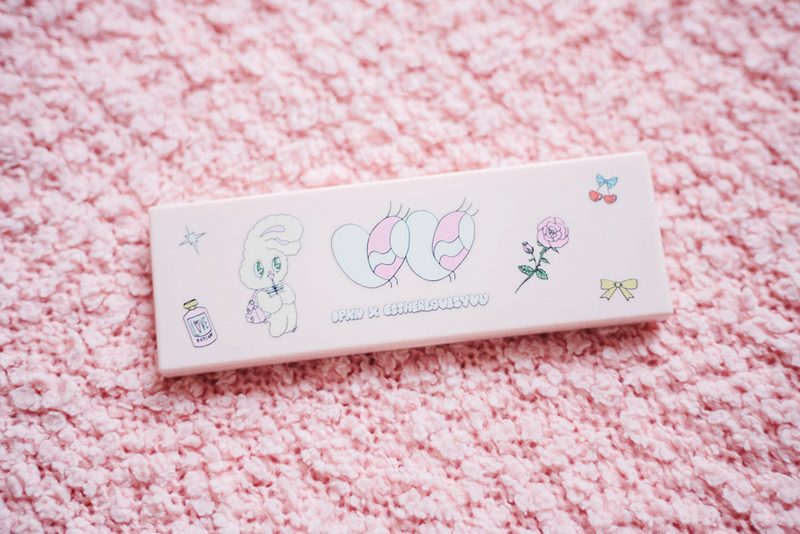 The case is super simple, but Esther's illustrations make it look so much cuter! Even the plastic film inside—which has a drawing illustrating each color—is cute! It does feel a bit flimsy, though, as if it'll come apart when I drop it. I usually just throw stuff in my bag when I go out, so I don't think I can take this with me. The palette also comes with a special dual-ended shadow and pencil brush (although a bit small) for creating various eye makeup looks. I also appreciate that they included a full-length mirror on the top part of the case. 01 Refreshing grapefruit soufflé: Fresh grapefruit color and shimmer pearls give moist color. 02 Grandmother's Monaca: Contains fine pearl on natural skin tone color to brighten the eye area. 03 Savory peanut butter: Natural shade non-pearl brown color that reminds peanut butter. 04 Mom's anpan: Point color with smooth pearls and reddish deep brown color like red bean jam. 05 Double Shot Espresso: Deep dark brown color like double shot. 06 Bananas in chocolate: Non-pearl gray-brown color with soft and cozy feeling. 07 Crunchy pecan pie: Gold brown color like pecan with glittery gold pearls. 08 Fondant Chocolate: Gold pearl deep brown point color that reminds warm fondant chocolat. 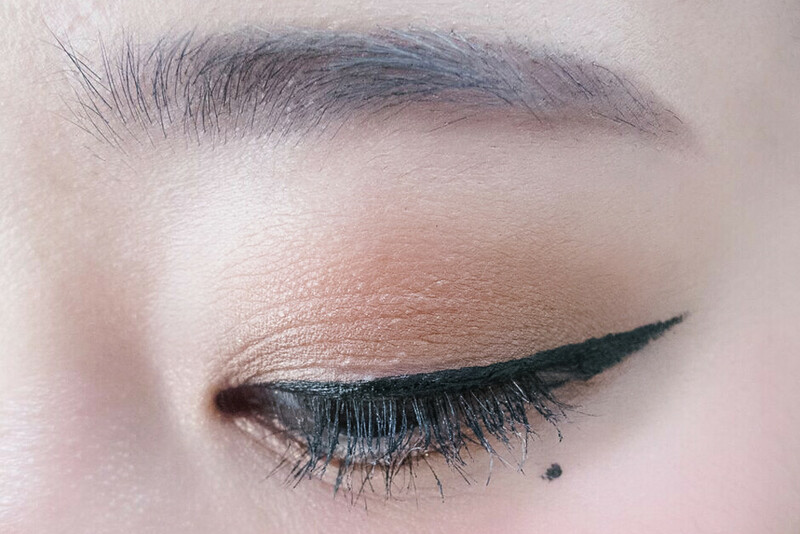 09 Fig tart: Non-pearl mauve color that give natural shade makeup. 10 Strawberry Cheesecake : Gives bright eyes with soft pink color with gold pearls. 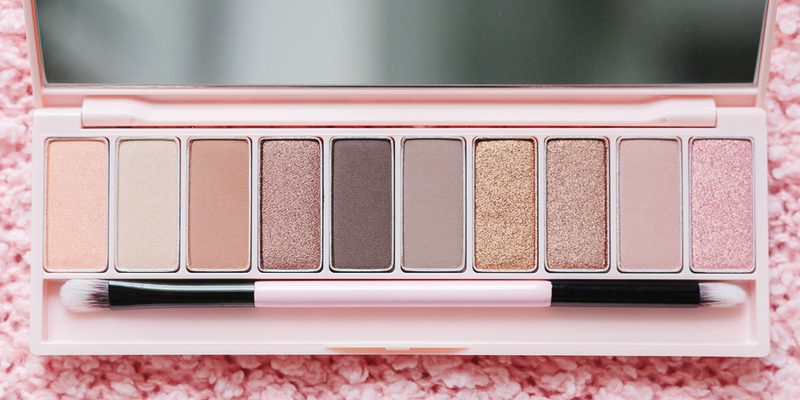 Before I saw this palette, I had my sights set on getting a different palette that had only pink shades. When I saw the IPKN x estherloves you palette, I changed my mind instantly! 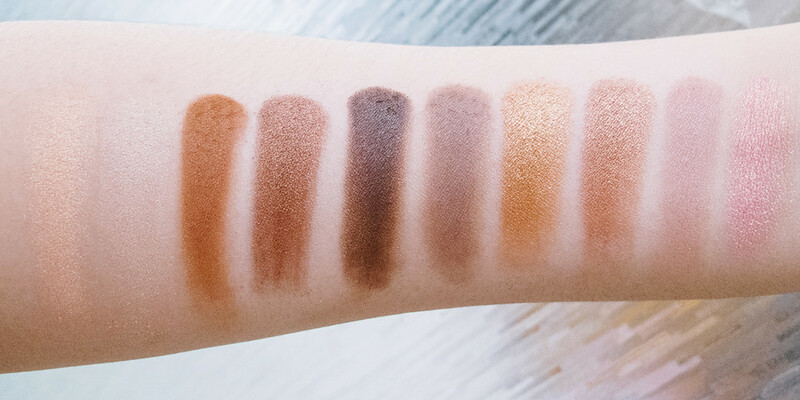 For me, these colors are exactly what I'm looking for in a neutral palette. 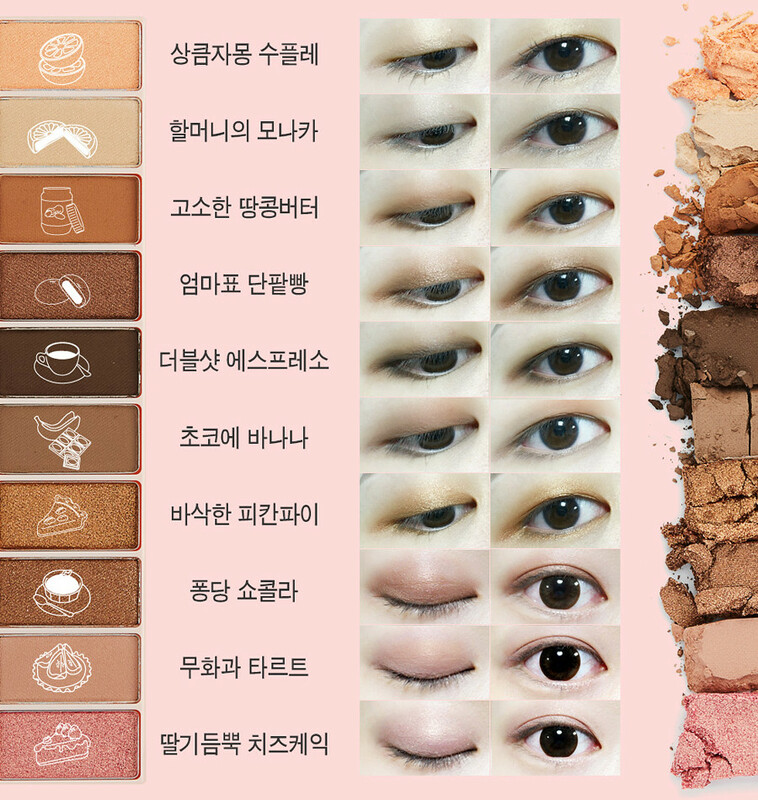 They are quite pigmented, similar to my Etude House Look At My Eyes shadows, but as you can see, I had a hard time getting 01 and 02 to show up in the photo. That's only because they match my skintone so much that you can barely see them. I suggest wearing a primer underneath for a more vivid color. (Before I swatched these, I spread my VDL Lumilayer Primer on my forearm, haha.) While I love all of the colors, my favorites are 08 and 10! 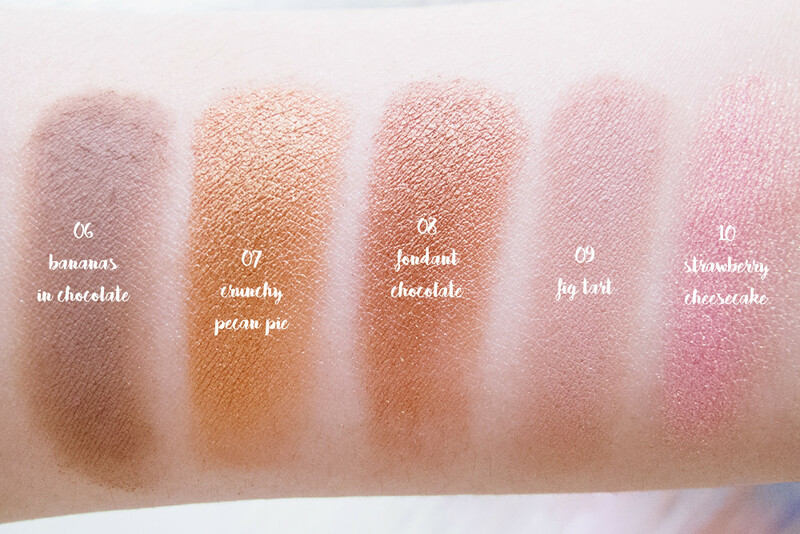 There are 4 matte shades (03, 05, 06, and 09) and 6 shimmery shades (01, 02, 04, 07, 08, 10). It's a good balance of mattes vs shimmers, especially since I'm more inclined towards shimmery shadows. Also, apparently a couple of these are glittery—the glitters are probably not that large, so I can't really tell. They go on very smoothly, with only a little bit of fallout. I personally prefer applying these with my fingers, because I get more out of the sparkly colors (especially 10) that way. I then blend out with a brush when I need to. 09 Fig tart as the base color + 05 Double shot espresso as the main color. Alternatively, you can use 06 Bananas in Chocolate as your base + 03 Savory peanut butter as your main color. 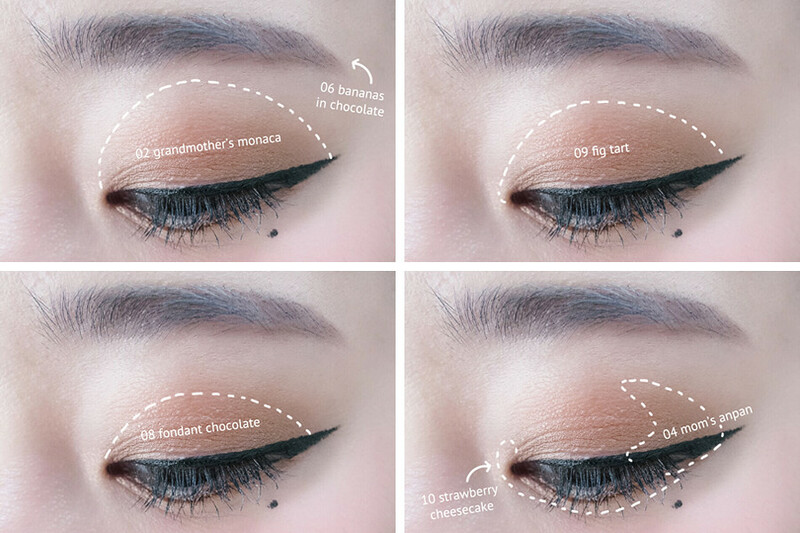 02 Grandmother's monaca all over the lid and on your lower lash line + 07 Crunchy pecan pie as the main color + 08 Fondant chocolate on the upper lashline, up until the fold of your eye (for monolids, about 5mm from the lashline). For the first look, 10 Strawberry cheesecake as the base color + 04 Mom's anpan as the main color. For the second look, 01 Refreshing grapefruit souffle as the base color + 08 Fondant chocolate as the main color. I personally like the first look more, because it's sparklier! 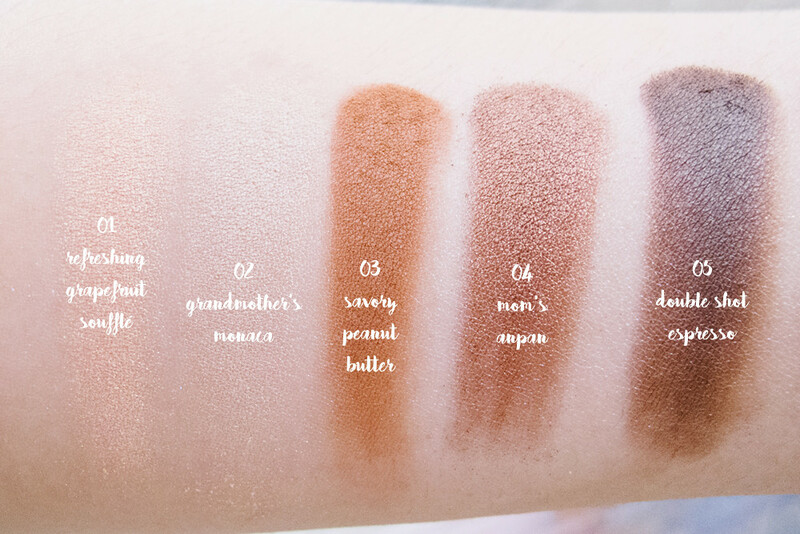 If you have blonde or brown hair, you can use any of these three shadows for your eyebrows. 06 Bananas in chocolate for ash blonde or ash brown hair, 03 Savory peanut butter for orange-toned hair, and 05 Double shot espresso for dark brown or reddish brown hair. 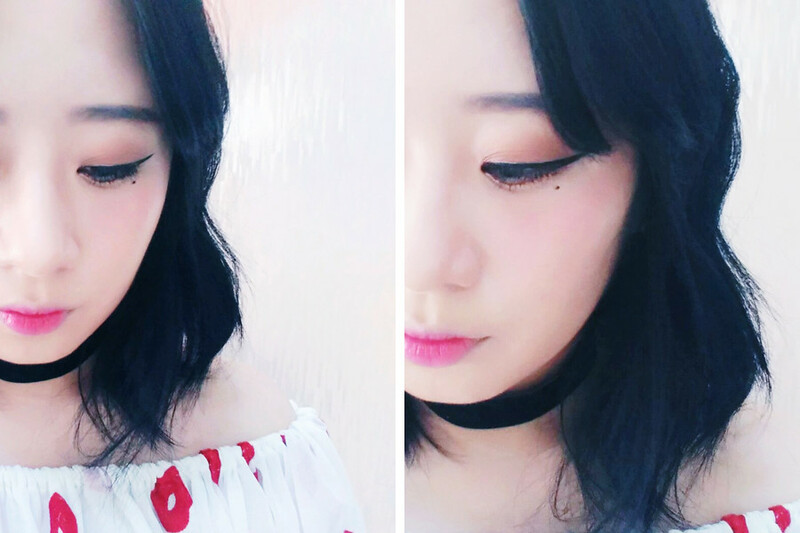 I tried using 06 for my own brows because I figured the ash brown color would look nice, but it was too light for my black hair. One of the biggest cons of this product, I think, is that it's not locally available. Those living outside of Korea can only get this item and all the other items from this collection via Gmarket, so you'll have to find a shopping service to buy it for you, or find someone who sells it locally if you're not used to buying from international sites. 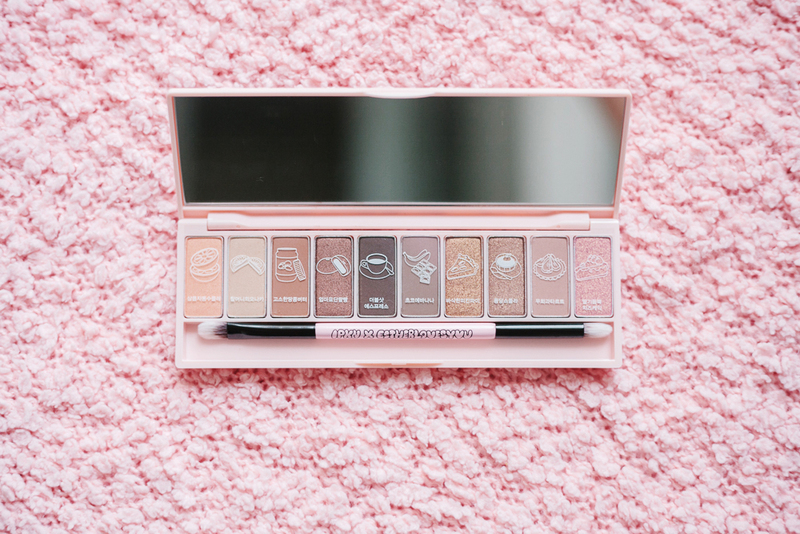 I bought mine via SeoulfindsMNL for P1200 (~$26), which I think is pretty affordable for a 10-color palette that I know I'll be using for many different looks and occasions. Another thing is that this is a limited edition item, and you never know when they'll become sold out completely. As of now, you can still buy any of the items in the collection, but they'll no longer come with the free pouch, sadly. EDIT: I was told that the collection is currently available on Tester Korea as well. Thanks, Lily!